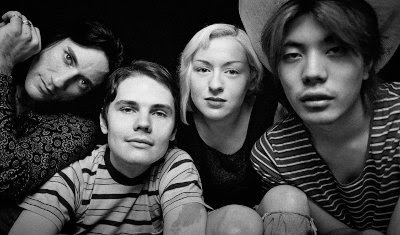 D'arcy Wretzky, the bass guitarist for Smashing Pumpkins from their formation in 1988 until shortly before their breakup in 1999, will not be taking part in the yet-to-be announced reunion. My apologies to all of the Smashing Pumpkins fans out there who are excited about this oncoming reunion tour of the original members of the band. I know this is a huge disappointment for me, as well, but it’s not going to happen [with me]. I only just found about yesterday that the band has decided to go with a different bass player. She went on to tell the site that there will be a summer tour with the rest of the original members of the band, Billy Corgan, James Iha and Jimmy Chamberlain that is set for July. There has been no love lost between Corgan and Wretzky. D'arcy left the band in September 1999 while they were making Machina/The Machines of God and was replaced by Melissa Auf der Maur from Hole. On February 17, 2004, Corgan wrote in his personal blog that Wretzky was a "mean-spirited drug addict" further driving a wedge between them. Then, in July 2016, Corgan began saying that he was looking into reforming the original band and that he had talked to D'arcy for the first time in sixteen years. Jump forward to last week when the rumor mill once again kicked into high gear about a reunion when Corgan posted a picture of him with Iha and Chamberlain in a recording studio. Missing was Wretzky along with the statement "So many memories when you put the three of us together."